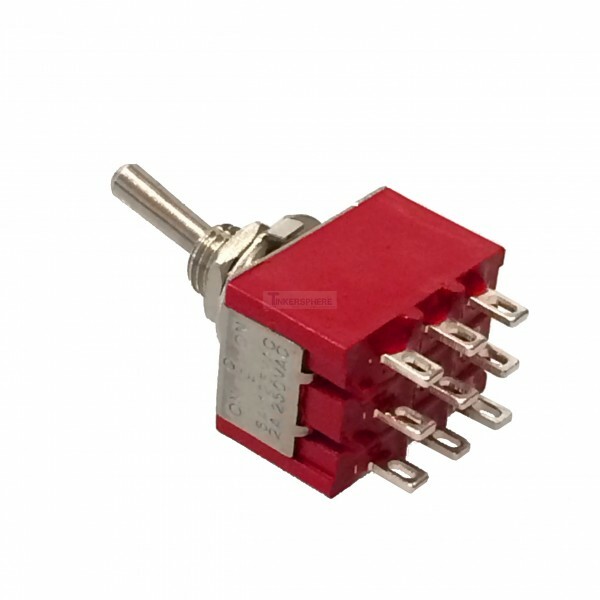 This Panel Mount 3PDT Metal Toggle Switch is good for controlling up to 3 things at once! It's just like having 3 standard toggle switches side by side. It has 3 Poles and is Triple Pole Double Throw (3PDT) which means that when you slide the switch to the up position, the top and middle poles for all 3 columns get connected, and when you slide the switch to the down position, the bottom and middle poles of all 3 columns get connected. 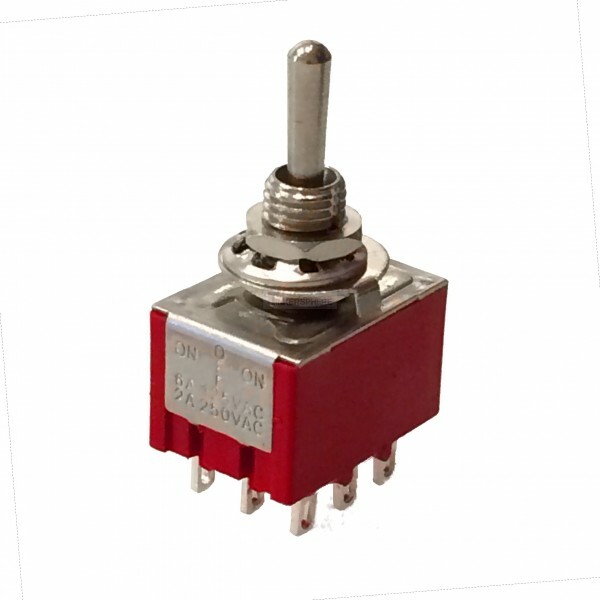 Very convenient in circuits because you can not only use it as triple ON/OFF switch by connecting the middle and the top or the middle and the bottom poles of each vertical column to your circuits, but also as a toggle switch connecting the middle pole to the top and the middle pole to the bottom when you flip it up and down respectively. Extra sturdy metal design. Can control up to 3 circuits at once! It's the same as having 3 standard SPDT switches side by side!